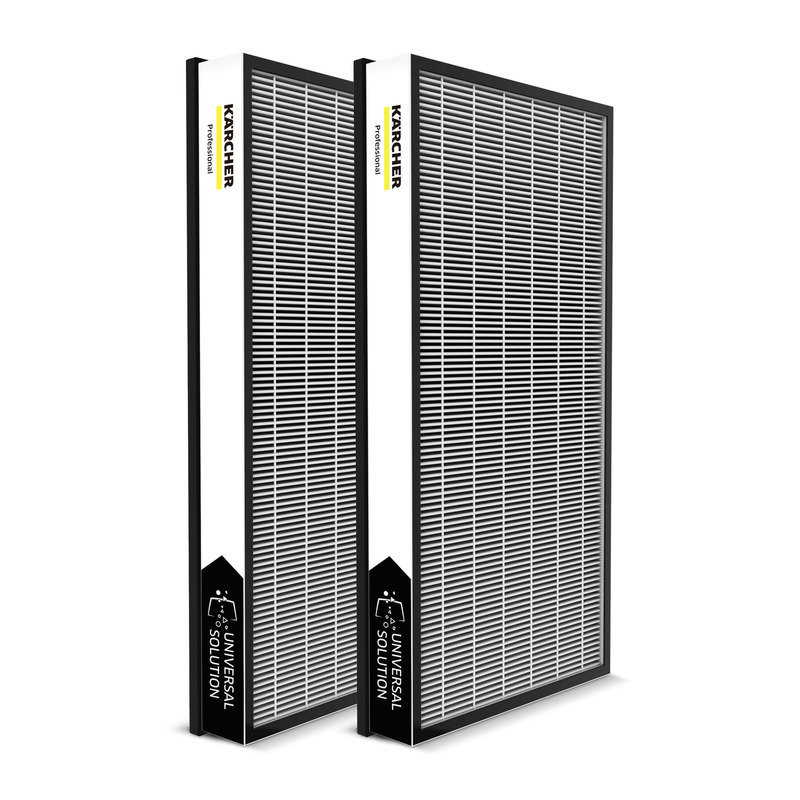 Universal filter set solution 28630290 https://www.kaercher.com/ae/accessory/universal-filter-set-solution-28630290.html Highly effective, standard integrated universal filter set (HEPA 11 i.a.w. EN 1882:1998) for the AF 100 air purifier. Reliably removes a variety of harmful substances from the ambient air. Highly effective, standard integrated universal filter set (HEPA 11 i.a.w. EN 1882:1998) for the AF 100 air purifier. Reliably removes a variety of harmful substances from the ambient air. The universal filter set (HEPA 11 i.a.w. EN 1882:1998) is already included with the purchase of our AF 100 air purifier. The universal filter reliably removes a variety of harmful substances in the air, also filters gases and unpleasant smells from the indoor air thanks to the natural activated carbon, thus improving the air extensively over the long term. Other filters are available for the air purifier for special requirements. Practical solution suitable for almost every customer requirement. Reliably removes harmful substances, gases and unpleasant smells from the ambient air.